I loved Cinder! 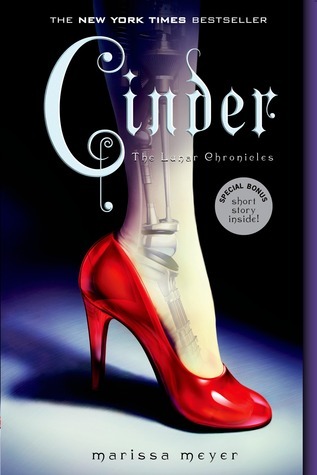 The book resembled and followed the fairytale, but Meyer wasn't afraid to stray from the original story and add in her own unique elements. I really loved how everything tied together at the end. The characters were interesting and well-described, and I loved the author's writing style. For someone who rarely buys books, it is very high praise for me to say-- Go out and buy this book now! I recommend this book to pretty much anyone. It has a little bit of everything! If you enjoy unique spins on fairytales and dystopia novels, I recommend checking this book out. The only people I wouldn't suggest this for is anyone who isn't a big fan of YA books. I hope you enjoyed this post. Like last month's book spotlight, this novel is the author's debut, so check it out. Thanks for reading!